Rouvalis Flowers - Boston Florist, Flower Delivery, Corporate Floral, Flower Subscriptions, Plants & Garden Design BlogEurope is preparing for Tulip season! The tulip sector has been doing well for some time and the total production volume grows a bit every year, but looking at the price, there's actually not a lot of news. Pretty ordinary, as different Dutch growers report. "Of course we are dealing with the buyers and not directly with the consumer, but everywhere you hear that the consumer is more prepared to buy", confirms Siem Munster, tulip grower from the Northern part of the Netherlands. At the same time, there is no question of elation: "Sales have been good in recent weeks and have occasionally been worse in the past. But to say that prices are going sky-high, that is not the case." In recent weeks, the demand was slightly larger than the supply, according to the auction statistics. The supply was somewhat lower, and in that sense the forcers are climbing out of the usual Christmas dip earlier than other years. Christmas has never been a peak time for cut flowers, and Niels Kreuk states, it is nonetheless more difficult to have the company fully staffed at that time. 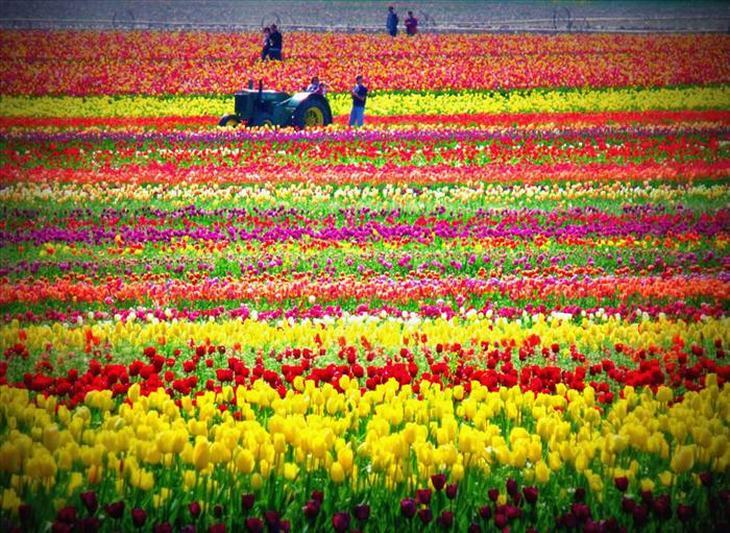 Incidentally also now in January, tulips enter the Netherlands form other European countries. For example, there is a modest supply from France - these tulips can be recognized by the paper sleeve, says Jan Koene – and from next week on a larger scale also Italian batches. But in general, this supply is minimal and also limited to this time of the year.